In biology, they are often discussed in contrast to epithelial tissues, which are closely packed cells for dense, often protective purposes. As the attribution implies, the primary purpose of such tissues is to connect other tissues or organs, for the coordinated and compound workings of the entirety of the organic system. It is that very connection which allows for the coordination of the whole, and while each individual organ or aggregate of cells may be vital to the life of the entity, without the connective tissues, such individual significance would never reach a level of integral compound complexity of a working singularity. Individual significance, without the connective support, would result in independent value; and it is the dependency of individual values which in their “togetherness” work to constitute an integrated system. We can learn much from biology. In preparing, formulating and filing for Federal Disability Retirement benefits through the Disability, Reconsideration & Appeals Division (U.S. Office of Personnel Management), whether the Federal or Postal employee is under FERS or CSRS, it is important to always recognize the connective tissues which must be carefully recognized and evaluated for their integrated purposes. For, in the end, that is what the reviewing agency of all Federal Disability Retirement applications — the U.S. Office of Personnel Management, or OPM — does. OPM reviews and evaluates all Federal Disability Retirement applications with a particular view towards analyzing the connective tissues, for integration, consistency and lack of contradiction. While each “organ” of a CSRS or FERS Disability Retirement application may be vital to the entirety of the administrative process, it is precisely the connective tissues which, if diseased, will determine the viability of the working whole. It is an indelible comment in history, marking a failure of calculations resulting in catastrophic consequences in the unwise attempt to quickly end the war. 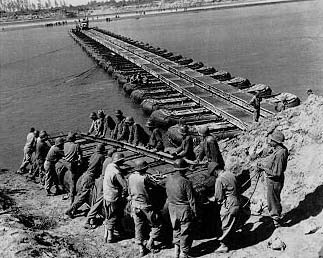 As a tactical consideration, the attempt to outflank German defenses by securing key bridges in order to isolate the enemy, constituted a brilliant idea; in practical application, the unconfirmed attribution of the comment that the Allied Forces may be going “a bridge too far” proved to be the very downfall of such a bold military strategy. Bridges represent vital and necessary supply lines between two entities, organizations, populations, and even ideas. They allow for the free flow of supplies and communication; they constitute the “lifeline” between two otherwise disparate groups. It is such a bridge, or “nexus”, which is similarly of great importance in all formulations of Federal Disability Retirement applications. For the Federal or Postal Worker who is preparing to submit a Federal Disability Retirement application through one’s agency (if still employed by the Federal Agency or the U.S. Postal Service, or otherwise separated but not more than 31 days since the effective date of separation), and ultimately to the U.S. Office of Personnel Management, making sure that the “bridge” between one’s medical condition and the impact upon the positional duties of one’s job is a vital and necessary part of the process. Like physical bridges which connect various populations, the nexus which brings together the Federal Disability Retirement application in a FERS or CSRS submission, will determine the very persuasiveness of one’s presentation to the U.S. Office of Personnel Management. A bridge which is inadequate will fail to establish that the medical condition impacts one’s capacity to perform the essential elements of one’s Federal position; and one which overextends itself may raise red flags of overreaching and exaggeration, undermined by a Supervisor’s Statement or the Agency’s contention that they have attempted to accommodate an individual to a legally viable degree. While a 1-to-1 ratio of a medical condition-to-an-essential element is unnecessary in establishing eligibility for Federal Disability Retirement benefits (see my multiple articles on the Henderson case), nevertheless, a linguistic construction of an adequate bridge between the two must be firmly established. In the end, as with the Allied attempt to swiftly conclude the war resulted in the unnecessary cost of human lives, so one must take care in preparing, formulating and filing for Federal Disability Retirement benefits, such that one does not go “a bridge too far” in making one’s case in a Federal Disability Retirement claim.